School kitchens | What's for lunch? What’s for Lunch in South Korea? Some great What’s for Lunch? news arrived on my doorstep when I returned from holiday this week. What’s for Lunch? is available in South Korea! Like so many children around the world, kids in South Korea have a daily hot meal at school. Lunch is served in a metal tray with multiple compartments and always includes rice and kimchi (pickled vegetables). There’s also a protein (chicken, fish, egg, tofu, but often it’s octopus or squid! ), usually served stewed or boiled, plus more veggie sides such as eggplant, radish, bean sprouts or lotus root. Soup is also offered some days. There are some great photos of South Korean school lunches on this teacher’s Tumblr blog. As I’ve argued many times before, of course, I think the economic and social benefits of school lunch are vast and far-reaching in better health and school performance, among other things. Seems citizens of Seoul agreed (though voter turnout was low) and the universal free school lunch program was passed. The mayor resigned in frustration. I hope kids and teachers in South Korea feel as strongly as some of their policy makers and I do about the positive impact of school lunch (no brawling, please!). And I look forward to hearing what they think about the lovely hardcover, brand-spanking new Korean version of my book! Comments Off on What’s for Lunch in South Korea? Filed under Kids and food, School feeding, School kitchens, School lunch, What's for Lunch? 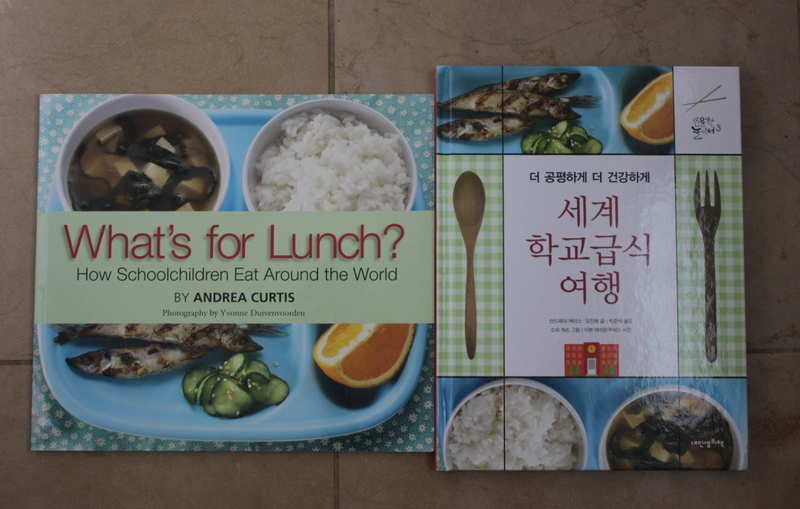 Tagged as eating with kids, kids books about food, school feeding, School lunch, school lunch around the world, school lunch in South Korea, What's for Lunch? What’s for Lunch? was created for kids, their parents and teachers to initiate discussions about food and the way it connects to so many issues that we all care about. Things like the environment, poverty, hunger, our health and the health of our communities. There are curriculum connections to health and nutrition, environmental sustainability, diversity, urban/rural connections, media education and much more. From the Pizza Pie game to Untangling the Food System to a more in-depth session we call The Lottery of Life, I hope these resources will inspire teachers to bring the ideas in What’s for Lunch? into their classroom. I’d love to hear how it goes. Email me (andrea at andreacurtis dot ca) and let me know! Filed under Kids and food, School feeding, School gardens, School kitchens, School lunch, What's for Lunch? 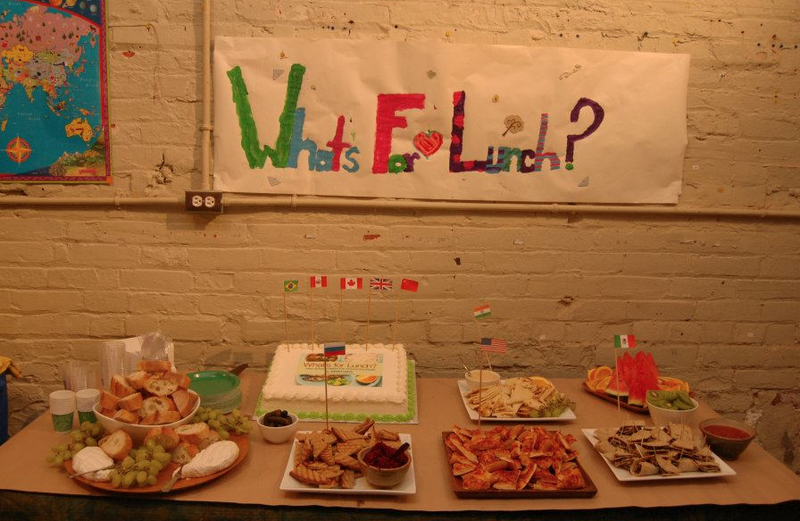 Tagged as School lunch, school lunch around the world, school lunch in Brazil, school lunch in Canada, school lunch in England, school lunch in France, school lunch in Italy, Teacher's resources, What's for Lunch? As I gear up for my next book to come out in mid-March (check it out here)—with all the trepidation and excitement that entails— it’s particularly nice to see blogger reviews still coming in for What’s for Lunch? I’m also doing a number of talks and presentations about the book with both children and adults over the next few months. If you want me to come to your school or community group, you can contact me about fees and my availability. Just this week, obesity doc Yoni Freedhoff posted a review of the book on his blog Weighty Matters. He liked What’s for Lunch? quite a bit though he had some really interesting stuff to say about how obesity is framed in the text. 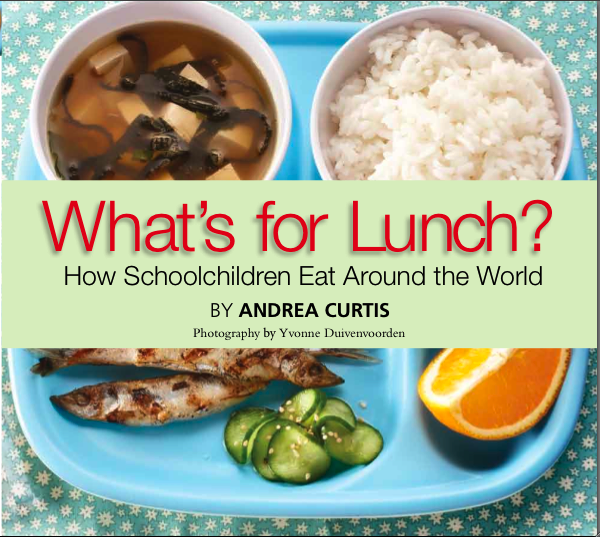 Tagged as Canada, kids books about food, school lunch around the world, What's for Lunch? 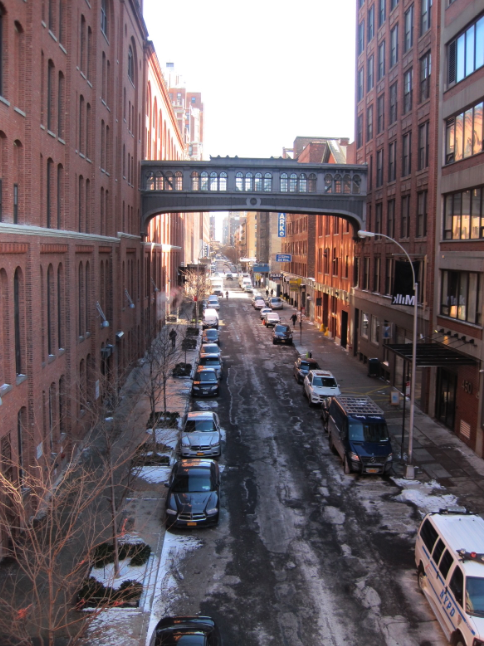 I spent this past weekend on a mini vacation in New York City walking and exploring and eating, as well as talking about food with school lunch and food justice (super)hero, Jan Poppendieck, who wrote the brilliant Sweet Charity? about the failures of food banking, and the more recent (and equally brilliant) Free for All: Fixing School Food in America. The weekend was a literal smorgasbord of fun, food and inspiration. One of the surprise highlights was stumbling on the new food exhibit at the Museum of Natural History. 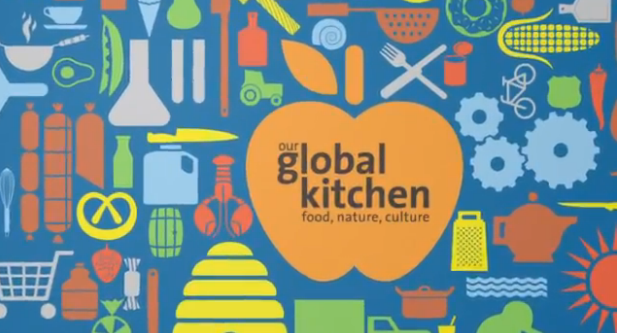 Called Our Global Kitchen, it uses multimedia, display, historical objects, diaroma and even taste tests to bring to life the complexity of our food system, the future of food (think seaweed, bugs and less meat) and the joys of eating together. There’s a chance to sit at a table with a Roman aristocrat, see an ancient Aztec marketplace and cook up various recipes on an interactive table/screen. Curated by the Center for Biodiversity Conservation, the exhibit pulls no punches about the challenges of feeding a projected 9 billion people by 2050 or the profound problems with current industrial agricultural practices. Considering the equivocating I seem to read in the media about this (as if it’s still sane to question climate change or the failures of the so-called green revolution to feed the world), I was delighted to see how matter of fact the exhibit is. This is science, baby. I can’t wait to read my friend Sarah Elton’s upcoming book, Consumed: Sustainable Food for a Finite Planet for more on this subject. Filed under Kids and food, School gardens, School kitchens, School lunch, What's for Lunch? Tagged as Cooking with kids, eating with kids, Museum of Natural History, Our global kitchen, Recipes, School lunch, school lunch around the world, school lunch in USA, What's for Lunch? The school garden has been put to bed for the winter, and I find myself reflecting on the season past and beginning to think ahead to what we might do differently next year. Sadly, here in Ontario, where the government has decided to unilaterally end bargaining with the teachers’ unions, and the teachers have responded by withdrawing their involvement in extracurricular activities (one of the only tools they have left to make their displeasure clear), there could very well not be a garden next year. We’ve worked hard to embed it into the school’s life—supporting teachers to use the garden as a teaching tool, buying curriculum resources, etc. And it’s worked remarkably well. We have a committed and enthusiastic staff team devoted to using it for teaching purposes. In just the past few weeks, the teachers have been using the harvest in their classes, baking kale chips and making a veggie soup that had children literally pushing to the front of the line to get seconds. But maintaining the patch is the collaborative work of parents, students and teachers, and such collaboration isn’t possible right now. We’re doing what we can while respecting the teacher’s right to withdraw their voluntary labour, but it might very well not be enough. A lot of work has to go into planning and fundraising—not to mention planting and tending—to make the garden thrive, and without parents, kids and teachers working together the whole thing could easily not happen. It’s devastating to think that all the work we’ve put into this garden, all the momentum we’ve built over the past two years could actually grind to a halt. I think making food literacy a part of our schools and education system is a key part of how we’re going to reverse the damage of our current food system—the diet-related health issues, the environmental degradation, the fear about food safety and unfair labour practises. Teachers are our most important resource when it comes to making food literacy a part of our children’s school life. We need to urge our provincial government to treat them with the respect they deserve and get back to negotiating in good faith. 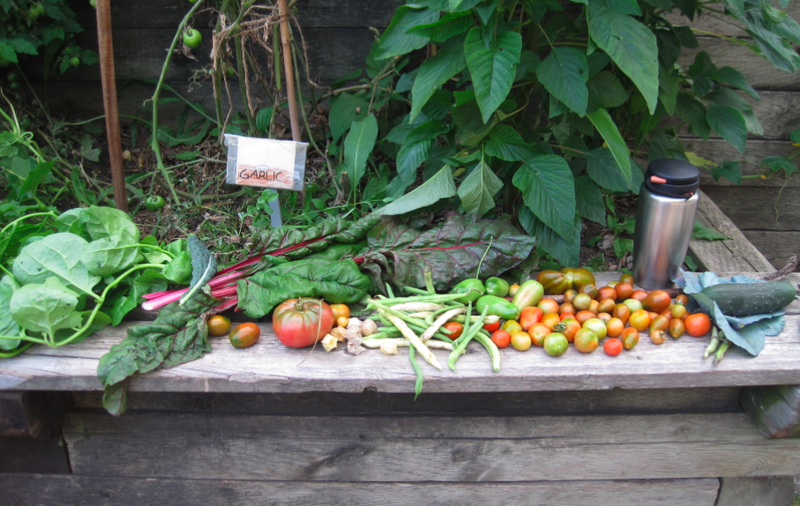 Filed under City gardens, Kids and food, School gardens, School kitchens, School lunch, What's for Lunch? Tagged as Canada, eating with kids, School gardens, school lunch around the world, urban garden, What's for Lunch? What’s on The Lunch Tray? Bettina Elias Siegel is a former lawyer, writer and host at the must-read American blog about kids and food (“in school and out”) called The Lunch Tray. She has been a fearless crusader for healthier school meals for several years, and was the brains behind the successful petition to the USDA to get rid of pink slime (fatty beef trimmings treated with ammonium hydroxide and added as filler to ground beef—yuck!) in the meat served in American schools. I always enjoy her smart and nuanced writing and thinking about kids and food issues—especially her unapologetic defense of equity in the cafeteria—but I also appreciate that she sometimes blogs about what she’s feeding her family. School food is that kind of issue: the personal really is political. So, of course, I was honoured and delighted when Bettina asked to interview me about What’s for Lunch? Here’s an excerpt from the Q &A after the jump. 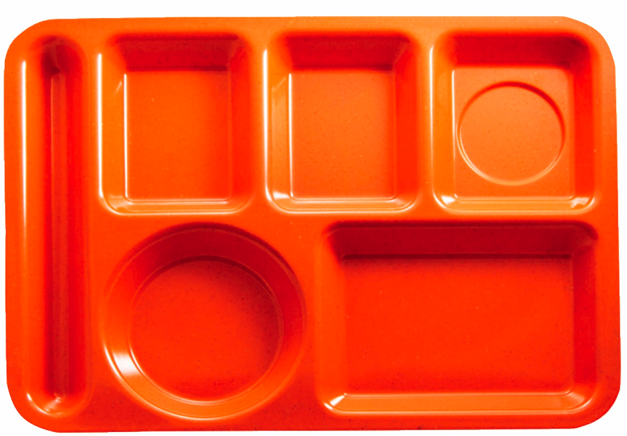 To read the whole thing, please visit The Lunch Tray. In fact, visit The Lunch Tray anyway. Tagged as child nutrition act, eating with kids, fast food marketing to children, School lunch, school lunch around the world, school lunch in USA, What's for Lunch?